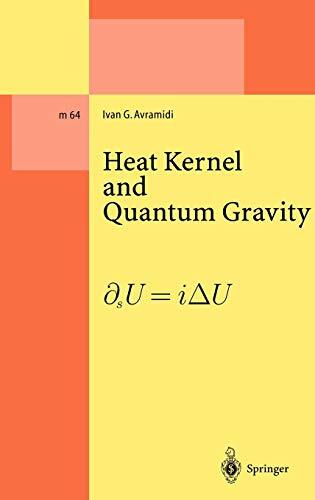 [PDF] Heat Kernel and Quantum Gravity (Springer Lecture Notes in Physics Monographs) | Free eBooks Download - EBOOKEE! Posted on 2017-10-17, by luongquocchinh. Description: This book tackles quantum gravity via the so-called background field method and its effective action functional. The author presents an explicitly covariant and effective technique to calculate the de Witt coefficients and to analyze the Schwinger-de Wit asymptotic expansion of the effective action. He also investigates the ultraviolet behaviour of higher-derivative quantum gravity. The book addresses theoretical physicists, graduate students as well as researchers, but should also be of interest to physicists working in mathematical or elementary particle physics. No comments for "[PDF] Heat Kernel and Quantum Gravity (Springer Lecture Notes in Physics Monographs)".